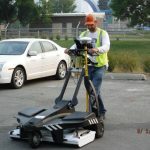 SUE Phase II – QL B and A – Utility Mapping Services, Inc. Counter to what many think, SUE is not simply mapping “One-Call Locate” marks. ⇒Our Phase II QL B and QL A investigation consists of 3D mapping of QL B data obtained with specialized geophysical exploratory methods (e.g., Spar 300, ground penetrating radar, acoustics). 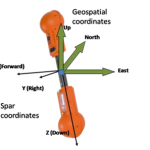 These specialized tools provide vertical positioning data with associated confidence factors. 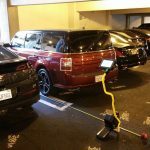 When our Phase II QL B data is combined with discrete QL A vacuum excavated test holes, we are then able to verify utility vertical positioning. 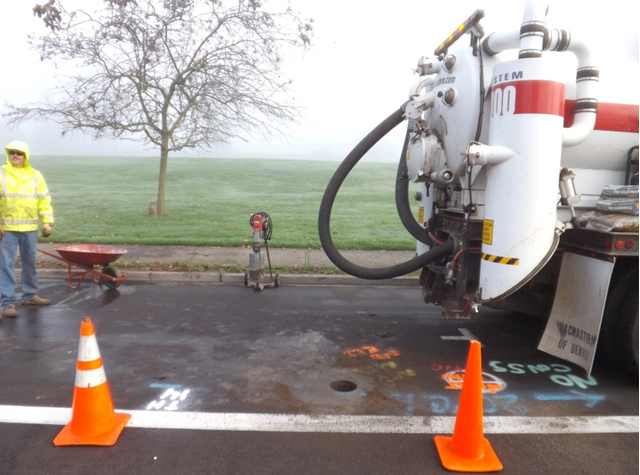 UMS will coordinate with our vac truck contractor to perform vacuum excavation operations. UMS will then perform the engineering survey of each test hole location. Test hole locations will need to be coordinated between UMS and the project design team based on identified utility conflicts and areas where more detailed data, including three-dimensional coordinates, are required to complete designs and mitigate/accommodate conflicts. 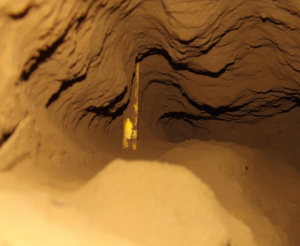 Excavation locations will also include areas to verify 3D QL B vertical and horizontal coordinates. This compilation building information model (BIM) or construction/civil information model (CIM) can then be used by the design team to visually verify conflicts. With the knowledge of visually verified conflicts/clashes, the design team can begin a coordinated effort to engineer solutions to conflicts between a project’s design and a utility. These solutions often result in the development of master and supplemental agreements between designers, project owners and utility operators.